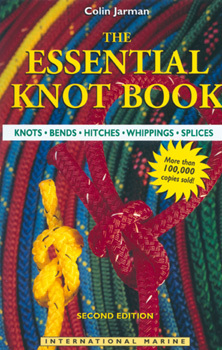 The Essential Knot Book 2nd Ed. This revised and updated second edition covers all the knots, bends, hitches, whippings and splices the mariner needs to know. Even if you're not a mariner, you will still have lots of fun learning how to make all the knots in this book, which are also sure to come in handy someday. It also now covers the most modern high-tech rope materials and construction including Dyneema, Spectra and Vectran as well as Dacron, nylon and the other now "traditional standards". Each knot is easily explained with countless helpful diagrams. Any boater, sailor, mariner or those looking for a new hobby will love this book.